You toss and turn in bed all night, with millions of thoughts running through your mind. You want to sleep, but you simply cannot. If this sounds familiar to you, you are not alone. According to a study by SingHealth, four in 10 Singaporeans get less than seven hours of shut-eye on weekdays. We do not fare better during weekends either, with 26 per cent failing to clock enough sleep on Saturdays and Sundays. Making simple but fundamental and practical changes to your daily routine and bedtime habits can have a profound impact on your sleep-wake cycle, allowing you to be mentally and physically recharged the next day. 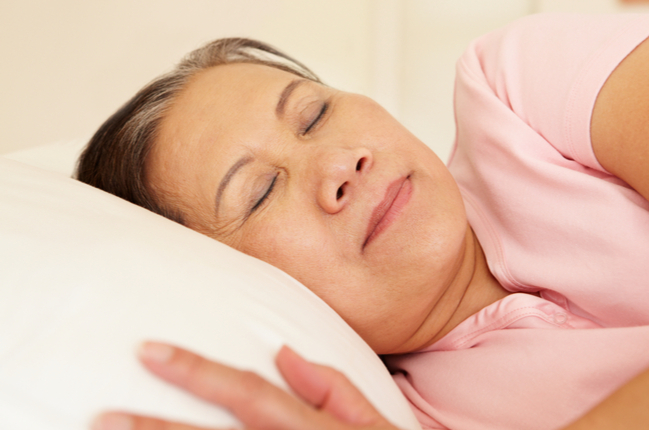 Here are 10 ways you can enjoy a better night's rest in this new year. When it comes to rest, a routine is best. Having a regular sleep-wake schedule sets your body's internal clock and enhances the quality of your sleep. To do this, get in sync with your body's natural sleep-wake cycle (also known as the circadian rhythm). Figure out an optimal sleeping time for yourself - say 11pm, with your alarm set for 7am. Regulating sleeping and waking times, according to your natural internal rhythms and what works best for you and your work schedule, will help you feel much more refreshed and energised when awake. Exposure to bright light at night can trick your brain into thinking it is still daytime, keeping you awake and alert. Darkness signals the body to produce melatonin, the naturally occurring hormone that makes you feel sleepy. When it is bedtime, dim your lights and minimise exposure to mobile devices such as iPads and smartphones, which emit blue light and keep you awake. Download apps like f.lux to filter blue light on screens. You can also get special glasses that are designed to block blue light. Sleep specialists advise getting off any electronic devices two hours before your head hits the pillow. If you are reading, use orange or yellow light to help with the wind-down process. People who exercise regularly sleep better at night and feel more energised during the day. Regular exercise also improves the symptoms of insomnia and sleep apnea, and increases the amount of time you spend in the deep restorative stages of sleep. But while exercise is essential for a good night's sleep, exercising at night can cause problems for some people. Exercise raises the heart rate and core temperature, and excites the nervous and endocrine systems. If you must work out after dark, keep your workout to the same time every night and keep it short (no super sets or endurance training) as the longer the session is, the harder it is to wind down after. Your bedroom environment is key in getting a good night's sleep. Sometimes, even tiny changes to your resting space can hugely affect the quality of your sleep. This includes factors such as noise and light. Create a relaxing environment by minimising external sounds, for instance. You do not have to use ear plugs. Just shutting the door and drawing the blinds may help cue sleep for you. Your core temperature drops by a degree or two as you begin to fall asleep. So if your room is at a comfortably cool temperature, it is easier to make the transition from wakefulness to sleep. Temperatures around 20 deg C to 23 deg C are optimal for most people. Research has shown that magnesium plays a key role in our ability to sleep. This essential mineral helps with stress reduction and mood stabilisation, and induces relaxation. Besides taking a supplement, you can try eating more magnesium-rich foods such as nuts and seeds, green leafy vegetables, such as spinach and Swiss chard, and whole grains such as brown rice and oats. Certain smells can affect your sleep quality. Exposing yourself to calming scents such as lavender (long used for relaxation in aromatherapy) at night can help ease you into sleep. Burn a lavender-scented candle in your bedroom or spray a little essential oil onto your pillow. It has been proven that lavender can decrease heart rate and blood pressure, putting you in a calm and relaxed state. There are many theories that the digestive system is linked to the brain. Therefore, a "comfort drink" might actually help make you feel more relaxed and bring on sleep. Try sipping on a small glass of warm milk or a turmeric latte (which is said to be good for overall health). If you are a tea person, drink some chamomile tea - the herbal drink can reduce anxiety, making it easier for you to fall asleep. White noise refers to sound signals that are used to mask other noises or disturbances. It can be used to drown out sounds that might prevent you from falling asleep or waking up. There are many white noise smartphone apps where you get a full range of sounds, from raindrops to ocean waves, whirring fans and static. There are even generators where you can "design" your own white noise. Different sounds work for different people, so experiment and go with your instincts on what you find pleasant. Your selection should make you feel relaxed and eventually drowsy. Also known as autonomous sensory meridian response, this sensation is described as a euphoric, calming sensation that starts with a relaxing tingling in your scalp and neck, before travelling down to your arms and legs. As strange as it sounds, it does a pretty good job at putting some people to sleep. To induce ASMR, plug into a video or guided meditation. The result should have you happily snuggling into your bed and falling into a blissful slumber.